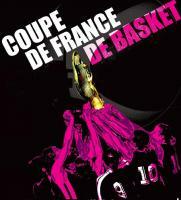 The Coupe de France format is different this season. For the first time the quarter-final and semi-final will be played during one weekend at two neutral venue’s. There are four teams at each venue with the winners qualifying for the final in May. 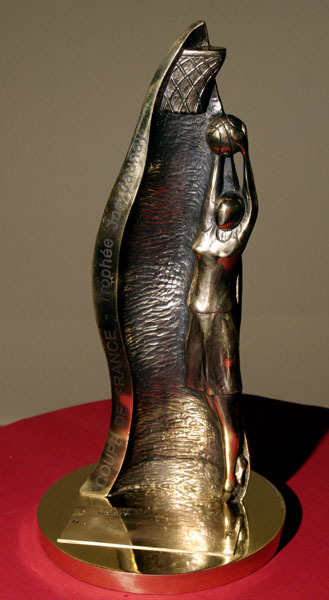 Calais, Reims, Montpellier and Villeneuve will play in Metz at the Hall of Saint Symphorien. The second group will play in Poissy close to Paris in the Marcel Cerdan sports complex. Aix-en-Provence, Bourges Basket, Challes-les-Eaux and Mondeville are the teams in this group. 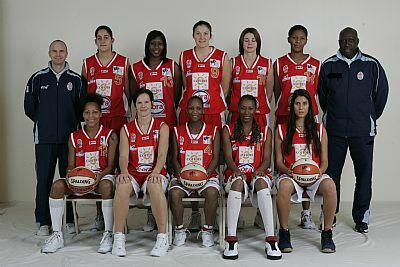 Reims - Calais: In December, when the sides last met, Calais was the team on form and beat Reims (69-55). Since then Calais have managed only one win in the league and are currently on a run of eight defeats. Reims’ fortune has changed since their defeat against Calais. They had a run of six consecutive victories which moved them up to fifth in the table. Reims are back on a negative series of two defeats. They are not renowned for the performance away from their hall. Cyril Sicsic (head coach COB Calais) would not mind if the good performance in cup competitions during recent seasons with their Espoir team could rub off on his senior side. The key battles in this match will see Allyson Hardy’s face-off against Anne-Maria Parau. Whereas the inside battle between Lauren Neaves and Mame Sy is likely to be ferocious. Yet the quality of Lina Brazdeïkyte, Andrea Csaszar and Aurélie Cibert for Calais are well known. It could be the contribution of Mariame Dia making the difference if this game goes to the wire. Reims will be relying on the experience of Zuzanna Klimesova, the opportunist Marie-Laure Fleury-Kindoki and the energy of Mia Fisher. But if things are not going well, Reims has a solid bench and players such as Manon Sinico (in picture) and Anne-Sophie Pagnier. These players have shown their composure in money-time. Lattes Montpellier - Villeneuve d’Ascq: Montpellier have had a more consistent season then their opponents thus far and will be required to be at their best in this match. 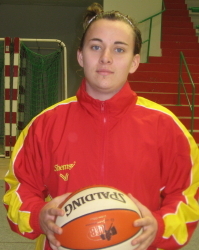 Villeneuve have had an up and down season on the court and have had bad luck with injuries. On the other hand since the start of the LFB March madness they have been undefeated. Villeneuve have moved into fifth place in the table. Both sides have players that enjoy one-off knock-out games and the battle in the paint between Sandra Dijon and Geraldine Robert will be interesting. These are two players that like to dominate their territory. While Dijon and Robert are battling away Aurélie Bonnan and Shala Crawford will have their own contest.With players of the calibre such as Gunta Basko, Grace Daley, Fatimatou Sacko and Kathy Wambe on court there should be a lot of excitement. Aix-en-Provence - Bourges Basket: Aix have already knocked out USVO. When Aix met Bourges in January Aix gave Bourges a run for their money before losing (52-50). The arrival of Anastacia Kostaki has boosted K. B. Sharp. Since then Aix have started to win games. On the other hand the return of Anda Jekabson from long-term injury, though with limited minutes, has taken off some of the pressure on Magali Lacroix. Ines Kresovic is getting back to full fitness and Liad Suez-Karni is getting back into the rhythm. With the calmness of Stéphanie Beuzelin and the exuberance of Yacine Sene and Joyce Cousseins-Smith (left). Aix have everything in place to maybe disturb Bourges. There is nothing much to say about Bourges. They are the favourites for this edition of the Coupe de France and are playing well. Their advantage is that they have the experience in playing big matches every three days. This season Pierre Vincent has been the master technician of turning his bench in order to preserve energy. With the inside presence of both sides the key battle will be out of the paint as Sharp and Kostaki take on Dumerc and Snell. Challes-les-Eaux - Mondeville: Challes are no more the team of old and have struggled in recent weeks. They have also lost Johanne Gomis for the rest of the season, she was injured last weekend while playing Calais. The Mondeville after Caroline Aubert has been reconstructed. What makes Mondeville interesting to watch is their skill in three-point shooting. They have two tall players of more than 1.91 m who prefer to hit shots from down-town. Milica Dabovic is a player that strives in winner-take-all-matches and should be in her element in this coupe de France match. Lenae Williams and Paoline Salagnac are always dangerous. Challes is more or less a new team and are difficult to analyse at the moment. They will need Martina Luptakova at her best as she tends to bring players into the game.